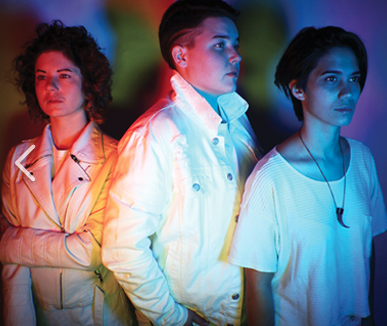 Electronica trio Tomboi braid a pulsing synth with candy guitar licks to force your surrender to the groove. Emotive lyrics swim the effervescent pop stream and further the group’s progressive roots. Stirring wails pick up an urgent gait, gleaming with a wink all the while. These women know how to make you dance. 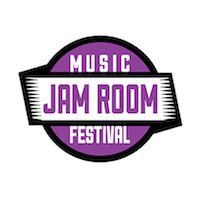 Members Alex E. (vocal, sequencing, beats, guitar), Paige McMullen (guitar) and Summer Wood (drums) first came together through mutual friends, cementing a deeper bond through music and youth advocacy efforts with local non profits, Girls Rock Jacksonville and JASMYN. They dropped their debut release, Queer Tears EP, March 2014 and another single, Lobos, January 2015. Since then they have shared bills with outfits such as Of Montreal, Big Freedia, Neon Indian, Hunter Valentine, La Femme, The Black Kids, Hunter Valentine, Fit for Rivals, Boyfriend, Moon Hooch, and Hank & Cupcakes. They have performed at events such as 7th Annual AURA Music & Arts Festival, Indie Grits, MurMur Media’s Atlanta Zine Fest, NYE333 Fashion Show at MOCA, GastroFest, Elestial Sound Showcase for One Spark, FolioFest, Queer The Fest, Harvey Milk Fest and LadyFest Pensacola. In correlation with their youth advocacy efforts they have Emceed events like Jacksonville Public Library’s 10th Annual Battle of the Bands, Girls Rock Jacksonville Arm-Wrestling Competition, as well as hosting Workshops on Songwriting & Sustainable Banding Practices.